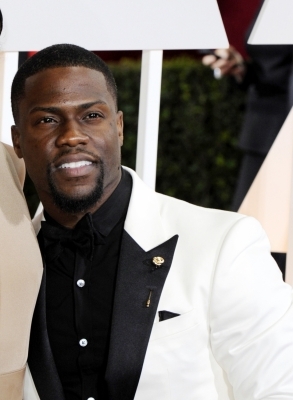 Actor Kevin Hart has joked he will live a “thug life” after his wife Eniko Parrish gives birth to their baby. The 38-year-old actor, who wants to be a “cool dad”, and his wife Eniko are expecting to welcome a son into the world in just two months. Hart has teased that he won’t have to do anything to raise the child except “talk to him”, because his wife and his two children Heaven, 12, and Hendrix, nine, who he has with his ex-wife Torrei Hart, will take care of the rest, reports femalefirst.co.uk. He joked: “I got a boy coming, man. I’m gonna talk to him every once in a while. I’m like, ‘Yo, what up? You good?’ That’s my point, I don’t have to do nothing… My daughter is 12, my son is nine about to be 10, my wife is right there – what I got to do something for? But the “Captain Underpants” star already owns a baby carrier, and also joked he is thinking of developing a special “hip pouch” to carry his new arrival.